Orlando, Florida is widely known for its fascinating features and attractions. Its the metropolitan hub for real estate in Central Florida and captures the imagination of millions yearly with amazing natural beauty, vibrant business and residential interests. Orlando FL hosts an abundance of diverse real estate amenities, including unique neighborhoods, parks, play areas, trails, lakes and much more. Niche communities in its embrace include a remarkable sense of welcome with Thornton Park, Baldwin Park, Delaney Park, Colonial Park and other adjacent neighborhoods and homes for sale in Orlando. Orlando may be known first by many for its intimate association with Walt Disney World, just a ‘stone’s throw away’. Although, the community and family-friendly focus of the heart of Central Florida takes front and center in a show of finery second to none with everything from homes and condos for the frugal buyer, to homes and condos for the discerning buyer. Amenities range from cozy comforts, to extravagant luxury suited for the most lavish of lifestyles. Real estate in Orlando FL is known as much for its in town vibrancy and features, as for its surrounding suburban qualities. In fact, for some, these suburbs are the main Orlando attraction. Many people think of communities like Windermere and Lake Mary as the centerpiece when it comes to quality of life and features that truly make Orlando stand out in the crowd. Find out more about Orlando. Get details on neighborhoods, attractions, homes for sale in Orlando, lifestyle preferences and more with a unique map based search. If you have a question about Orlando real estate, get connected with expert advice and help. Contact us at Tolaris Realty.com. 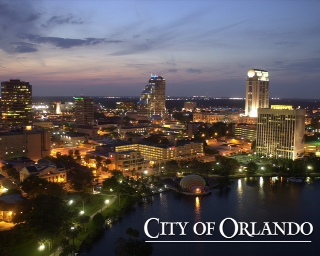 Orlando Fl provides a positive environment for cultural, educational, entertainment, commercial and residential interests. It includes a rich history exemplified in areas like Lake Cherokee Historic District. The city has a myriad of shopping and dining, a stunning skyline and plenty of style. Homes for sale in Orlando are all about style and gracious living, amid a strong sense of belonging and vitality. Under construction. FOUR SEASONS PRIVATE RESIDENCES ORLANDO AT WALT DISNEY WORLD 174; RESORT HOME FOR SALE- Inspired by mid-century modern architectural icons, this Gardenside Phil Kean home displays 8,589 square feet of indoor space. Expansive windows throughout are perfect for appreciating the luscious preserves and charm of the community. 5 bedrooms, 6 full baths, 3 powder rooms and 3-car garage, with each room showcasing leading edge technology and environmentally sensitive details. This home exhibits a 8220;wow 8221; factor with flowing open kitchen, living and family room. The extended owner's suite boasts direct access to pool, spa, and exercise studio with sauna and steam room. Theater room, game room, study, detached cabana. Abundant natural lighting within provides an idyllic, comfortable, and serene environment. 13; Four Seasons Private Residences- Nestled within the Golden Oak community and neighboring Four Seasons Resort Orlando. Enjoy private entry to the resort and access to personalized services and extraordinary amenities. Four Seasons offers the ultimate lifestyle for residents including access to five pool and water experiences, Tranquilo Golf Club, tennis, spa, and opportunities to dine in the area 8217;s most revered restaurants. 160; Residential services are overseen by a Residence Manager and include a la carte offerings for in-residence dining, resort deliveries, in-resident spa treatments, personal laundry and dry cleaning, towel and bed linen services, assistance with private parties and more. Under Construction. FOUR SEASONS PRIVATE RESIDENCES ORLANDO AT WALT DISNEY WORLD 174; RESORT HOME FOR SALE- A custom Italianate inspired manor, Casa Serena, greets guests with a grand gallery featuring elegant picture windows overlooking the pool, veranda and the backdrop of lush conservation in the distance. Ideal for entertaining, the beautiful open kitchen and great room offer a spacious area to gather which open up to an outdoor living area with summer kitchen. The circular grand stairway leads to the upstairs quarters which feature an abundance of balconies, media room and a spa/salon room which could be converted to an optional 7th bedroom. Estimated completion in Spring 2019. 13; FOUR SEASONS PRIVATE RESIDENCES ORLANDO- Nestled within the Golden Oak community and neighboring Four Seasons Resort Orlando is Four Seasons Private Residences Orlando. Homeowners enjoy private entry to the Resort and access to the same personalized services and extraordinary amenities that define Four Seasons. Four Seasons offers the ultimate lifestyle for residents which includes access to five fantastic pool and water experiences, Tranquilo Golf Course, tennis, spa, and opportunities to dine in the area 8217;s most revered restaurants. Residential services are overseen by a Residence Manager and include a la carte offerings for in-residence dining, resort deliveries, in-resident spa treatments, personal laundry and dry cleaning, towel and bed linen services, assistance with private parties and more. Taking full advantage of its 0.76-acre golf-front home site, this transitional estate offers modern appointments balanced by welcoming and thoughtful architecture. Designed by Nasrallah Architectural Group, the home was built in 2014 by Akers Custom Homes. The stunning foyer creates a grand sense of arrival with custom-commissioned entry doors, 24-foot ceilings and onyx inlay flooring. Graceful details extend into the living room, outfitted with a dual-sided fireplace and a built-in onyx bar with custom cabinetry. The residence is centered on a two-story, glass-and-steel wine room by Circle Redmont 8211; the only one of its kind in the United States. An epicurean kitchen boasts a 16-foot Carrera marble island and luxury appliances from Wolf, Fisher and Paykel, Thermador and Miele. The adjoining family room includes motorized sliding glass doors that allow effortless access to the lanai. The master suite encompasses a sunlit sitting room and a breathtaking master bathroom with a double glass shower, a large bathtub with marble surround, custom built-in cabinetry and marble countertops. The upstairs entertainment loft comes fully equipped with a custom wet bar, a drop-down media projector and motorized shades for an authentic movie experience. Five en suite bedrooms and an additional game room complete the second level. The outdoor living area features a covered lanai and summer kitchen, and the resort-style pool includes a sun shelf, fire feature and water wall fountain. GOLDEN OAK AT WALT DISNEY WORLD 174; RESORT - Surrounded by the beauty of natural preserves, this grand home is situated on a 2/3 acre lot, making it one the largest and most private home sites in Kingswell. The Enchanted Rose stained glass window at the entry sets the tone of this glorious French-inspired Estate. The Master Retreat features a private office, walk-in his & her closet and magnificent master bathroom with soaring ceilings, elegant freestanding tub, and waterfall shower with jets & steam. Gourmet kitchen features Lacanche range, separate Sub-Zero full size fridge/freezer, and walk-thru butler 8217;s pantry with wet bar. The expansive backyard and outdoor living area features a phantom screen enclosed summer kitchen & bar, outdoor dining & living area, gas fireplace, expansive resort style pool, and spa. Upstairs features 4 en-suite bedrooms, laundry room with double washer/dryer, and a media loft that overlooks the 2 story great room below. There 8217;s also a detached 2 story guest house with 2 separate guest suites. This gated community features distinctive neighborhoods of magnificent homes, and inviting amenities-including access to Golden Oak 8217;s private Summerhouse clubhouse, with superb food offerings served in a casually elegant dining room, pool area, fitness facilities, and family room. In addition, residents have access to Club Life, including access to the Golden Oak Member Services team, park transportation, signature club events, theme park experiences, Extra Magic Hours and much, much, more. Presenting GRANDE OAKS, and perhaps there is no other palatial estate that is comparable. Custom designed and built by celebrity singer who had grandiose ideas on what was exciting and needed for one's home. Many special features stand out, but one is the over million dollar pool and entertainment area. One will think they are at a theme park! This home has a walk-in closet off of the MBR, 700' in size. Forget ever parting with anything! What a pleasure it will be to have a new owner love this fine 4.36+ acre Butler Chain estate with - yes, no HOA, and none needed. This home is privately gated! Please see attachments with other pertinent and exciting information. CD of this fabulous property upon request. Golden Oak at WALT DISNEY WORLD 174; Resort Home for Sale - Montecito exudes charm and sophistication with its exceptionally designed Spanish Revival architecture. This home is complete with a sweeping staircase at the entry, expansive owners suite, multi-purpose room and a study. Guests can enjoy Florida weather year round from a separate, second-floor guest suite with a private enchanting balcony that overlooks the pool and wetlands. The large gourmet kitchen, formal dining room and family room are wonderfully suited for entertaining. Enjoy privacy in your back yard with the inviting resort-style pool and spa and spacious outdoor living. Golden Oak is a residential resort community where families can live in the embrace of luxury, privacy and the magic of Disney. This gated community features distinctive neighborhoods, expansive natural preserves and inviting amenities 8212;including access to Golden Oak 8217;s private clubhouse, Summerhouse, with superb food offerings served in a casually elegant dining room, resort pool, and fitness center. In addition, residents have access to Club Life, including access to the Golden Oak Member Services team, park transportation, signature club events, theme park experiences, Extra Magic Hours and much, much, more. Also at Golden Oak is Four Seasons Resort Orlando at Walt Disney World Resort, which hosts an 18-hole Tranquilo golf course, full-service spa, meeting facilities, and superlative restaurants. Millionaire 8217;s Row - Elegant two-story LAKEFRONT MANSION on 3.64 acres located at Pocket Lake in the Butler Chain of Lakes; nestled among other multimillion-dollar homes in Dr. Phillips/Millionaire 8217;s Row area of SW Orlando. The Butler Chain of lakes include 11-connecting lakes for a great day of leisure boating; skiing, fishing or just sunbathing is considered one of Florida 8217;s most sought-after areas of lakefront properties. Custom built by Dave Brewer homes with 6 bedrooms and 5.5 baths, concrete barrel tile roof, beautiful pool, 3 car garage, car porch, picturesque landscaping with lots of shrubs and trees including exotic tropical fruit trees. This awe-inspiring PRIVATE ESTATE with panoramic views is gated and secured as well as very peaceful with 250 feet Serene Waterfront and boat dock. Exquisitely designed and built in Newport-beach style, this home is approximately 8500 total SF with 5600 plus SF of living space and boasts Brazilian cherry wood and travertine flooring, and in mint condition. No HOA, and none needed. Under Construction. GOLDEN OAK AT WALT DISNEY WORLD 174; RESORT HOME FOR SALE - This elegant Spanish haven remains loyal to its European influence yet offers all the comforts of modern luxury living. Sunlit spaces, soaring ceilings and a gracious flow make the home perfect for gatherings. The outdoor living area is a restorative retreat with its water features and grand fireplace. Professional-grade kitchen and private owner 8217;s suite further accentuate the home 8217;s sophistication. Golden Oak at Walt Disney World 174; Resort is a residential resort community where families can live in the embrace of luxury, privacy and the magic of Disney. This gated community features distinctive neighborhoods of magnificent homes, expansive natural preserves and inviting amenities 8212;including access to Golden Oak 8217;s private clubhouse, Summerhouse, with superb food offerings served in a casually elegant dining room, courtyards, pool area, fitness facilities, and family room. In addition, residents have access to Club Life, Your Special Connection to the Magic, including access to the Golden Oak Member Services team, park transportation, signature club events, theme park experiences, Extra Magic Hours and much, much, more. Also at Golden Oak is Four Seasons Resort Orlando at Walt Disney World Resort, which hosts an 18-hole Tranquilo Golf Course, full-service spa, meeting facilities, and superlative restaurants. Be marveled by this magnificent one and half acre estate home that has been fully renovated to become a masterpiece of the Lake Nona Country Club featuring a water view overlooking the 11th fairway. This meticulously upgraded home features two master bedrooms and three en-suite bedrooms with their own bathrooms. The downstairs master bedroom is oversized, which includes a fireplace, sitting area looking onto the pool. The kitchen has been turned into a chef 8217;s dream featuring two Wolf gas stovetops, ovens, and a Sub-Zero Refrigerator and separate Sub-Zero Freezer. The five Vanity Mirrors designed by Mirror Vue allow you to watch television while getting ready for the day. TVs are installed in several rooms and are included with the purchase. Elevator in the home gives ease of traveling between the 2 stories. Entertain in the newly installed outdoor summer kitchen featuring a gas grill or inside your game room featuring a wet bar. The oversized twelve feet deep free-form pool has a sun shelf, spill over bowls, center waterfall, LED bubblers, and 1000 strand fiber-optic LED package that creates an incredible illusion of stars in the evening. Store your weekend cars in one of the 6 car garages. Lake Nona is nestled amid a canopy of towering 100-year-old oaks and dynamic views of one of the top 100 golf courses in the world 8212; a golf lover's dream! This stunning Butler Chain estate is the epitome of luxury Florida lake front living. This private gated enclave is perfectly sited on approximately 7.5 acres of land with an impressive 350 ft long driveway and approximately 165 feet of shoreline on Lake Sheen. The home features 6 bedrooms, 7 bathrooms, a home office, a first-floor theater room, a fitness center overlooking the lake, and a second-floor bonus room. From the moment you step through the front doors your eyes are greeted by a grand staircase and soaring 25 foot ceilings with walls of windows that frame one of a kind lake views. The spacious master suite includes a separate sitting area and a spa bath with a large walk in shower and a garden tub. The chef in the family will love the spacious kitchen with its large center island, top of the line stainless steel appliances, breakfast nook, and amazing views of the pool and lake. When you step outside you will feel like your staying at a private resort with a covered boat dock, a massive pool, and outdoor entertaining area that includes a summer kitchen, fireplace, hot tub, and even a pizza oven for those cozy family gatherings by the water. For the car enthusiast there is an oversized circular drive and a 5 car garage. Owners will enjoy amazing sunsets and Disney fireworks every night and the fact that there is no homeowner 8217;s association. Located just minutes from all of the major theme parks, Orlando 8217;s famed restaurant row, and world class shopping the location quite simply can 8217;t be beat. Information herein deemed reliable but not guaranteed, representations are approximate, individual verification recommended. IDX information is provided exclusively for consumers personal, non-commercial use, that it may not be used for any purpose other than to identify prospective properties consumers may be interested in purchasing. This content last updated on April 18, 2019 21:59. Some properties which appear for sale on this web site may subsequently have sold or may no longer be available.